For a YouTube channel with exquisite aerial drone videography complete with groovy music tracks, look no further than Mr Ben Brown. If you don’t believe this, just have a look at his 2016 trip to the Arctic. The ex-athlete hung up his running shoes and kayak paddle in exchange for the camera after a successful sporting stint. 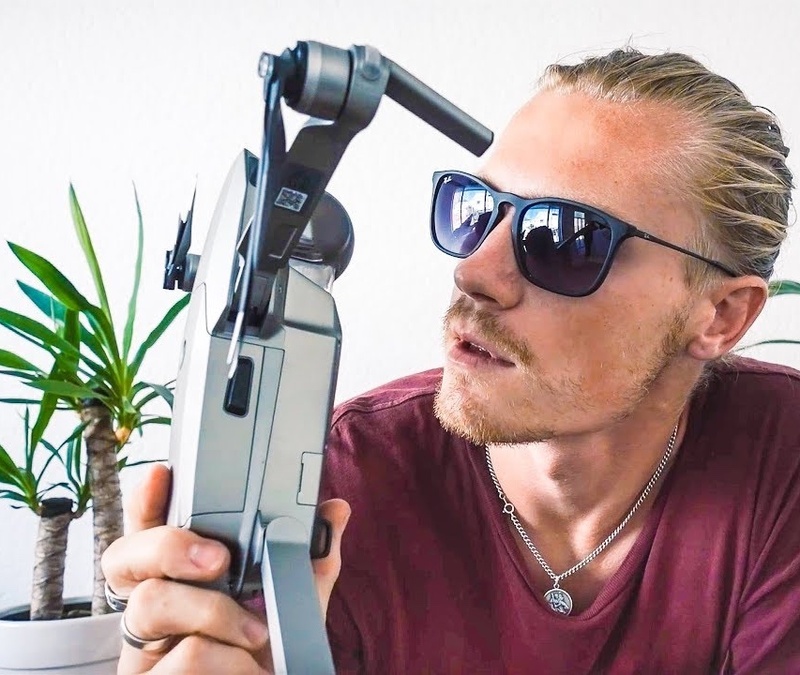 Now as a YouTuber, film maker and photographer, Ben uploads a range of videos daily that encompass eye-capturing regular, underwater and drone videography. In one of his more recent videos, High-end professional imagery company DGi sponsors content in which Ben runs through the history and progression of the drone units he has owned. Within the content, he promotes DGi’s drone protection plane called ‘Care Refresh’. Ben has evidently been working with the company’s drones for years and is a trustworthy ambassador to take such advice from. After the brief promotion, Ben takes us on a visually stimulating journey through the 6 different DGi drones he has owned. His stories are intercut with mesmerising drone footage of vast landscapes, pristine beaches and bustling cities. Since the invention of photographic consumer drones, we’ve seen the release of incredible aerial footage. Mr Ben Brown has a firm grip on the craft and it will be exciting to see where he and other talented visual artists will take this developing medium. I’m sure Nicole Richie has been busy following The Simple Life ending in 2007, but this is the first I’ve heard of her since. In this wine-fuelled girl chat, Paris Hilton has been replaced by the talented YouTube make-up influencer Desi Perkins. The two girls have charming chemistry and casually chat about life, makeup and chickens. Cosmetics brand Urban Decay sponsor this 16-minute clip where the girls spend a significant portion of the video applying and promoting the new product ‘Naked Petite Heat’. The content is a fun way for an influencer to fully integrate a marketing campaign with their production. Rather than having a disjointed section talking about an unrelated product, Desi is able to design the whole clip around ‘Naked Petite Heat’. When getting side-tracked in the ‘next up’ videos in the YouTube toolbar, it’s easy to see how Desi captured the attention of over 2.9 million followers. Her Make-up videos and tutorials are on fleek and highly creative. Every now and then you see someone taking part in something so absurd that it’s tough to look away. In a Dollar Shave Club sponsored clip, YouTube influencer Matt Stonie takes on a monster chili cheese fry challenge that would cause any pot-smoking university student’s mouth to gush. The epic food challenge contains 10,120 calories, which is over 4 times the recommended daily intake for a 30 year old male. Matt ‘Megatoad’ Stonie is famous for his competitive eating abilities and is currently ranked 3rd in the world on the Major League Eating table. People love a challenge, and particularly an eating challenge, which is why Stonie has a mouthwatering 4.1 million YouTube subscribers. Dollar Shave Club clearly decided to collaborate with Stonie because of his appeal to a male audience. Which guy doesn’t want to see a fellow man attempt to polish off 10 thousand calories worth of chili cheese fries in under 20 minutes? I must admit, though incredibly unhealthy, it looks like a treat to tuck into the mountainous pile of heart-attack inducing fries. It’s interesting that in a time where many are trying to steer their children towards healthier food choices, YouTube channels like Matt Stonie’s are receiving high levels of attention. At the end of the day though, it’s all in the name of fun and entertainment and we have the ability to make our own food choices. On that note, I’m going to go grab a bacon double cheeseburger.